As a Pretty Brown Girl Member: By registering as a Pretty Brown Girl Membership, you verify that you are 18 years of age or older. If you are registering on behalf of a minor, you certify that all representations are true and that you are the minor’s legal guardian or custodial parent with full authority to bind the minor and yourself to this Agreement. 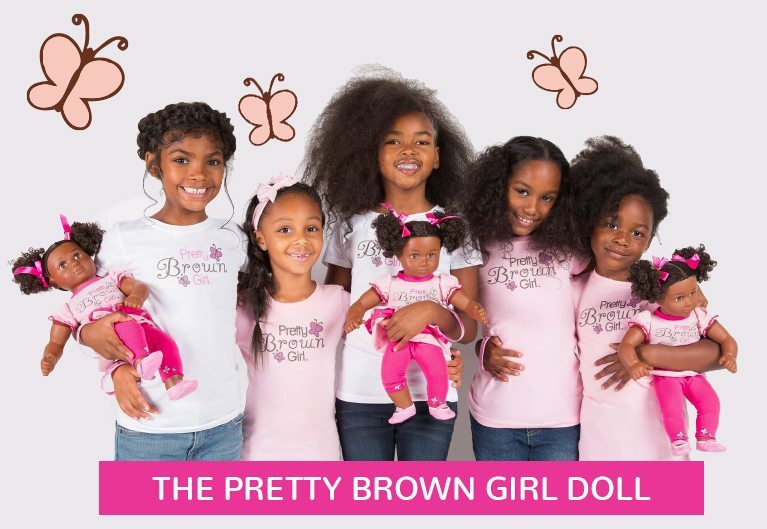 Pretty Brown Girl Members cannot use the Pretty Brown Girl name, trademarks, logos, and service marks (collectively the “Trademarks”) displayed on the Pretty Brown Girl website and any are registered and unregistered trademarks on any printed/digital marketing materials, ( i.e. personal websites, social media websites, T-Shirts, clothing, flyers, brochures, business cards) without previous consent. Even if you are not using the logo the words “Pretty Brown Girl” are only authorized to reproduce by Pretty Brown Girl, LLC and the Pretty Brown Girl Foundation. It is illegal to use, without expressed written consent, for any third party and is strictly prohibited. You are not allowed to host any events with our name, logo or trademarks. Any member will be eliminated from all programs, recognition or events and all members would receive immediate notice if this violation is not adhered. For any PBG Members or Non-Members, others who contract any third party companies or individuals to put our name, the PBG logo or an imitation or likeness of our PBG logo on any items under any circumstances, they will be prosecuted by the full extent of the law as well as any parties involved. This includes reproducing T-Shirts, banners, invitations, brochures, business cards, etc. Pretty Brown Girl prohibits members or any other user from engaging in any activity that Pretty Brown Girl, in its sole discretion, determines is offensive, interferes with the rights of others, or causes harm to any person, including to Pretty Brown Girl LLC and its employees. If you have any concern about the use of any of the materials or activities provided therein, it is your responsibility to decide whether such materials or activities are safe and appropriate for your particular Pretty Brown Girl activities. Pretty Brown Girl is not responsible or liable for any mishaps, medical or otherwise, related to your child’s involvement. Unless otherwise noted, all materials, including images, illustrations, designs, icons, photographs, video clips, and written and other materials contained on any Pretty Brown girl guide or website (collectively, the “Contents”) are copyrights, trademarks, trade dress, and/or other intellectual properties owned or controlled by Pretty Brown Girl. The Contents of all Pretty Brown Girl materials are intended solely for personal purposes. Members/parents shall keep intact all copyright and other proprietary notice and make no modifications to any materials or use the materials in a manner that suggests an association with any of our products, services, or brands. Pretty Brown Girl LLC does not provide liability or medical insurance for the protection of any individual, group, business, or organization that may choose to use the Pretty Brown Girl LLC Content. Any youth program or individual that uses the Pretty Brown Girl name or logo is not a division, branch, or department of Pretty Brown Girl LLC. Knowing, understanding, and fully appreciating all possible risks, you hereby expressly, voluntarily and willingly assume all risks and dangers associated with your minor child’s and/or your use of the Pretty Brown Girl LLC Websites and Content. You understand and acknowledge that activities using Pretty Brown Girl Content could result in injury or even death and agree that participation in all activities shall be at your minor child’s and/or your sole risk. Individual parent/guardians are responsible for verifying that any interaction they have with other Pretty Brown Girl members and volunteers have been screened to the parent/guardians satisfaction before participating in group activities. You shall indemnify, defend and hold harmless Pretty Brown Girl LLC, its owners, employees, agents, officers, directors, successors and assigns, from and against any and all claims, damages, losses, liabilities, or injuries arising out of or related to the use of the, PBG Member Guide, Websites, Service, or Content, or any breach of this Agreement. This includes, without limitation, claims by you. In consideration of the event of my child appearing in or participating in one or more video or audio recordings, soundtracks, films, photographs, or written articles, I hereby consent to the use and editing thereof and release to Pretty Brown Girl, LLC and its employees and assignees from any and all claims resulting from such use and editing in District media, and use, sale, editing and release to the newspapers, radio and television stations; and use on the Internet.